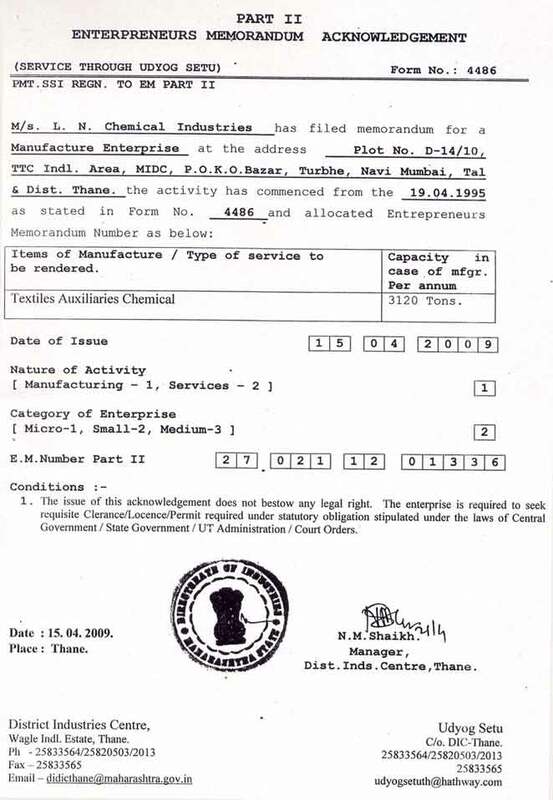 Established in the year 1975, we, L. N. Chemical Industries, are an ISO 9001:2008 certified organization engaged in manufacturing, supplying and exporting of a comprehensive range of Speciality Chemicals, Textile Chemicals, Paint & Paper Chemicals. With our high quality products, we have made significant contribution towards the development of the Indian chemical industry. 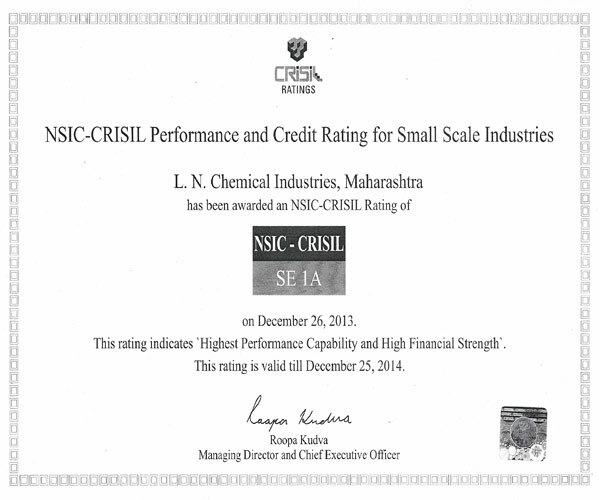 Moreover, we have been awarded the NSIC-CRISIL rating of SE-1A for our high performance capability and financial strength in the industry. 1 ) - Textile Chemicals Market in India to Cross 9500 Crores by 2018, Says TechSci Research: Increasing domestic demand for quality textile materials coupled with growth in textile exports are expected to drive the textile chemicals market in India. 2 ) - Our Newly Launched Products. Click to enter. 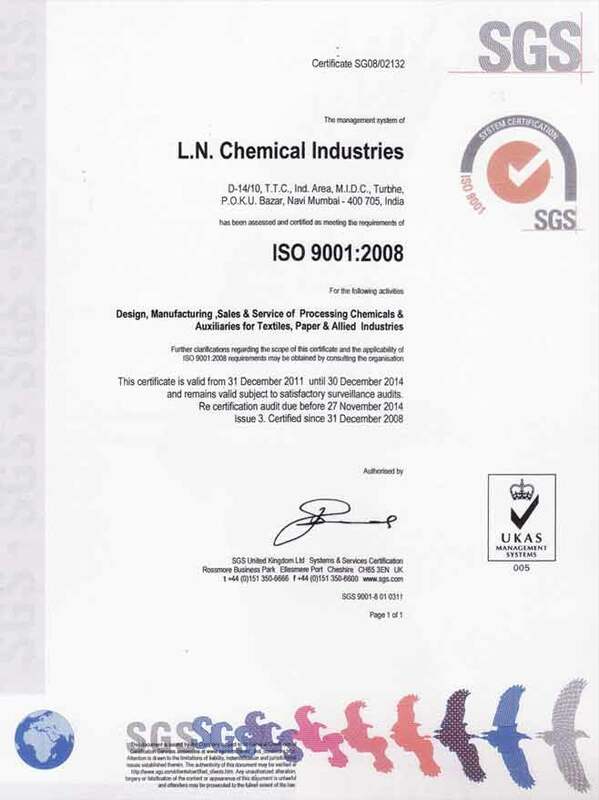 we, L. N. Chemical Industries, are an ISO 9001:2008 certified organization engaged in manufacturing, supplying and exporting of a comprehensive range of speciality chemicals. With our high quality products. L. N. Chemical Industries launches an opportunity for the growth of your career and a strong, sustainable and promising stay in the industry. 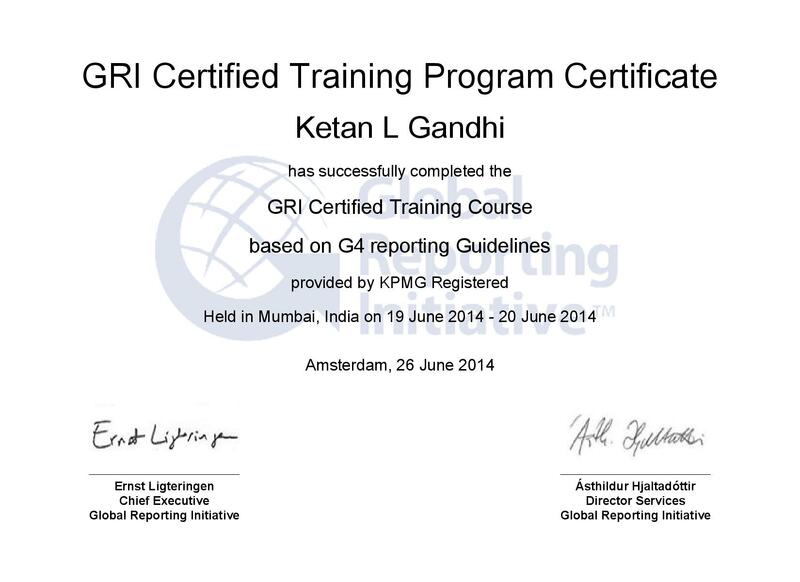 We offer a good package to the right talent, and make it a win-win set up for both of us. If you are interested in exploring a career with us, please send us your resume.